Here it goes, round two for me. I ran the London Marathon last year and the crowds were amazing on the day, it was an overwhelming experience. I remember about mile 10 I thought I was going to cry, I felt choked by the incredible support. Everyone was so friendly, shouting your name as you run past. The crowds really get you through the day. 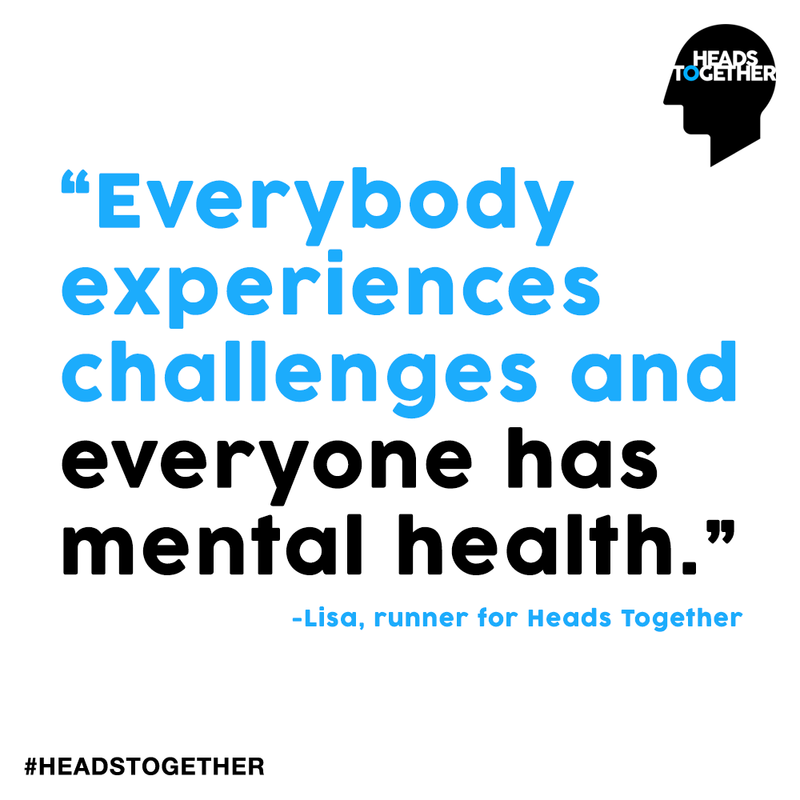 I decided to run for Heads Together because I feel the campaign represents and supports lots of different mental health challenges through its work with 8 charity partners. That fits perfectly with my reason for running the London Marathon; I want to raise awareness of the fact that anyone may struggle with their mental health. I began to notice I was struggling with my mental health after I stopped working in the army. I found it difficult adjusting to a different job and getting to know new people. I noticed I wasn’t feeling like myself and that I had been cutting people out of my life without intending to. I had been part of the army since I was 17, in the military people know who you are and what your role is by your uniform. It’s different in the corporate world and that was tricky to adjust to. My boyfriend was the first person that I opened up to about struggling and after we spoke about how I was feeling he suggested talking to a professional about it. It wasn’t until a few months later when I had a conversation with my beauty therapist that I felt able to take action. We opened up to each other about problems we were facing and had quite a casual but open conversation. She told me that she had been going to a counsellor called Derek and that he had really helped her, so I decided to give talking to him a go. I felt like I could relate to her and, it gave me the extra push I needed to ask for help. After my first session with Derek, I felt like a huge weight had been lifted off my shoulders. Derek was able to help me see things with a different perspective. 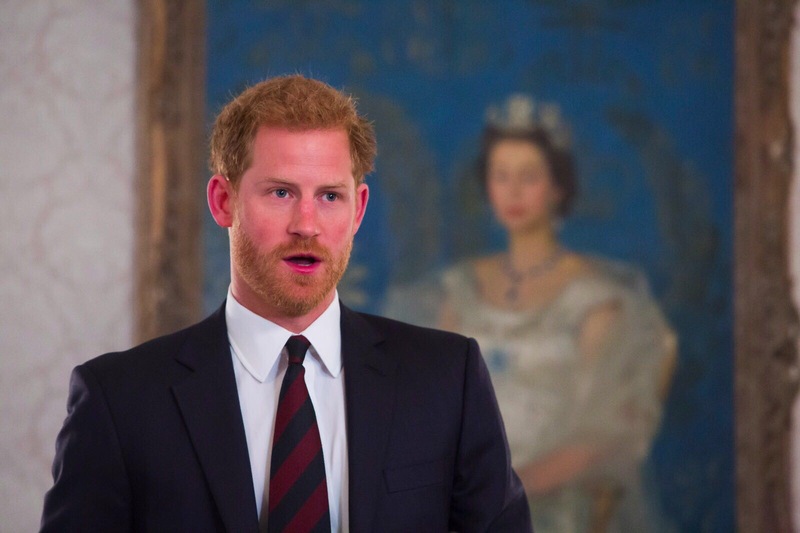 He would turn things on their head to help me unpick the root of the issues. At first I didn’t tell anyone that I was going to see a counsellor but after a few sessions I felt able to be open about it. Knowing I had someone there to talk to was a huge relief, now I feel worlds apart from the bad place that I was in before. 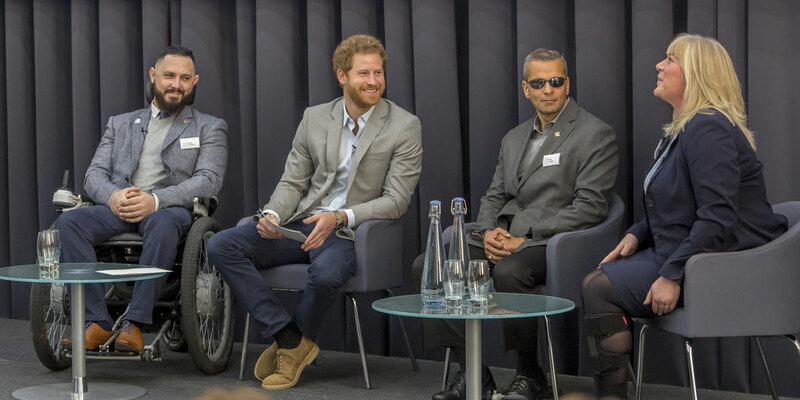 Being in the military and serving in Afghanistan I was exposed to situations that anyone would expect to affect them and I know that some of my colleagues are still struggling. I want show them that it’s ok to talk and it’s normal to struggle. Everybody experiences challenges and everyone has mental health. Although I found it tough adjusting to a different environment, I believe that I would have reached that difficult place whether I had been in the army or not. It doesn’t matter what situation you’re in, anybody can experience difficulties with their mental health. If you’re currently experiencing challenges to your mental health, talking to someone is the first step. It doesn’t matter who that person is as long as it is someone you trust and feel comfortable opening up to, whoever that may be. Training for the marathon has been tough at points but I’m not beating myself up about it. I just enjoy running and really believe it helps your mental health. If you’re stressed at work, in a tough situation or just need a break I’ve found that running can really help you focus. It gives you some time where negative thoughts have no space to get in because you are concentrating on achieving a goal. The marathon is such a good platform for raising awareness of mental health; especially because of the benefits running has on your mental wellbeing. When it comes to race day it doesn’t matter if I do it in 3 hours or 6 hours, I just love being part of it. If you’re running the London Marathon this year and you find yourself struggling to feel motivated, remember why you’re doing it. 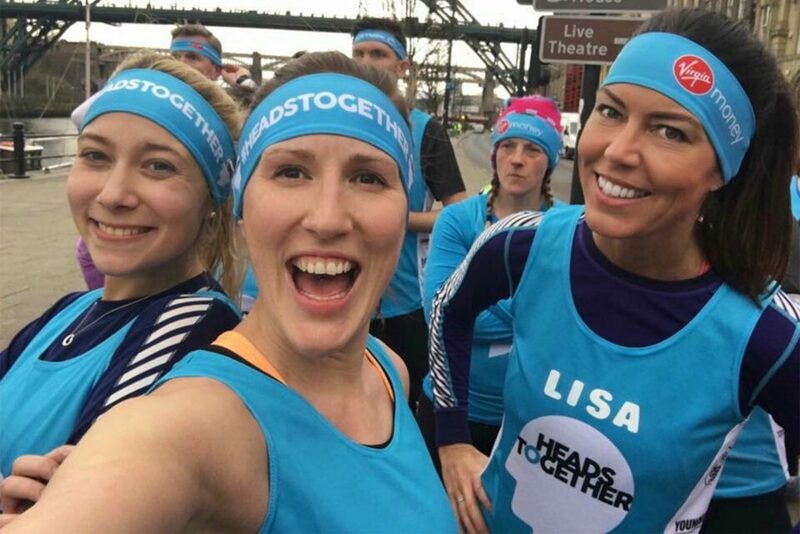 The fact you’re running for mental health and raising awareness of Heads Together is amazing. 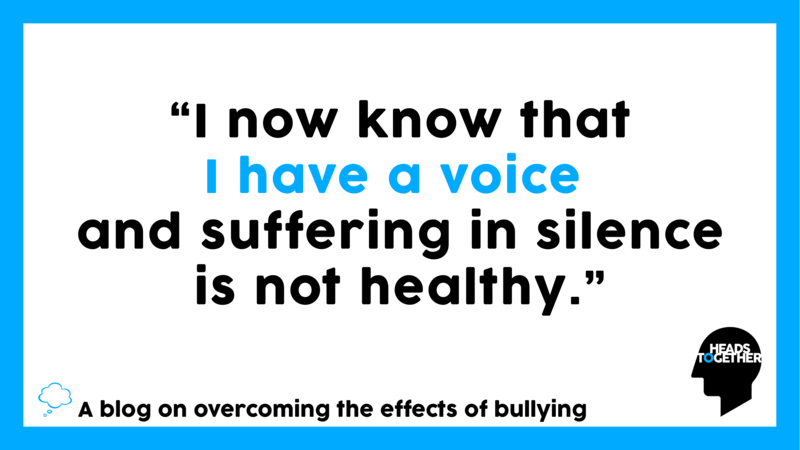 A story on overcoming the effects of bullying.